It’s that time of week again! 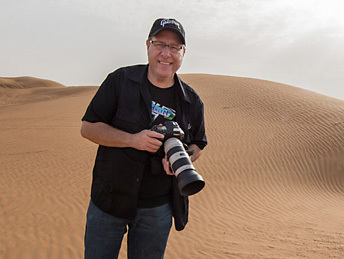 #HybridDaveTuesdays, on #TravelTuesday, right here on ScottKelby.com—boom! So, I caught you with that bait title and now I need to deliver the goods. Let’s do this! I’ll start by offering you a view of Old Harry (the little rock at the end closest to the lens) as seen from 69 metres up. It’s a view that would have cost the price of renting a helicopter or airplane, gambling with the risk of weather, and far less flexibility in maneuvering and fine-tuning. The market for consumer and prosumer drones is growing like you wouldn’t believe. DJI, manufacturers of the Phantom and Mavic among others, are now the worlds largest aircraft manufacturer AND the worlds largest camera manufacturer. So what does that mean for us photographers? Capturing familiar places from unseen angles. Finding brand new places with no previously seen view. That means using a drone, which can travel the world with me and can demonstrate an optical performance, which maintains the aesthetics of my portfolio. Mavic, if you were wondering. But, this post isn’t about why I need a drone, it’s about why you need one! Number one: It’s the best toy ever! The number of times I’m flying and some passer-by sees me with a controller in my hand and immediately stops in their tracks, craning their neck skyward, trying to nonchalantly spot my drone soaring high; or the yell of a child upon noticing the whirr of the rotors, exclaiming to their parents, “Look, a drone!” It’s a fantastic attention-grabber and this translates to the commercial world of a subscribed audience—for example, the fascination of guests and couples when I’ve pulled out a drone whilst shooting weddings is a great marketing tool, not to mention the awesome perspective the paying couple will get for their album. Next up, it opens up a whole world when it comes to water. A lot of drone work we see includes water, and that’s because it’s an entirely new world which, short of hiring a helicopter or a boat, wasn’t possible before drones. We can get low and shoot long, get a bit of altitude and throw in some 45-degree views, or go straight up and shoot bird’s eye view, just as a few from many possibilities. Water is, as we all know, the carpet to two-thirds of our planet, and the amount of action going on there carries an intimate captivity, which lends itself to so many awesome views. I was driving through the USA. Nevada, I think. I was making my way along a valley and noticed the awesome mountain changing beside me. It was near Navajo Rock and bore colours not dissimilar to it, so I had to get the drone up and get the shot. Winds were steady and high, but out came the DJI Phantom 3. I took off and the wind caught the Phantom, taking it sideways toward a rock face. The thing was nearly on its side in the air, but the GPS and all the other gadgets built into it kept it flying steady, albeit practically on its side. My better judgment told me to land it, but the demonstration of its stability was incredible, and the awesome tech flew by itself to keep in position. The other example is when I took the photo up top of Old Harry Rocks in Dorset, a couple of miles from my parent’s home. I stood on a cliff top and the winds were gusting something unreal—the air was still, then felt about 50 MPH, then back to still, then back to 50 in seconds. I had my DJI Mavic Pro on the ground all ready to go. When you launch a drone, it’s good practice to hold a low hover for a short time as a kind of systems-check, and in the case of the Mavic, it takes that opportunity to use two ground-facing cameras to take a snapshot of its take-off point, so it can auto-land back in the exact spot. Whilst I held this hover, the intermittent, wild wind made my poor Mavic flap. My drone was literally wobbling in the air as if it were Homer Simpson on one of those fat shakers. The sound of the motors working hard with fine changes to deal with the deflected air buffeting the cliff below was a sad, sad sound, but it held itself with no control input from me, keeping its cool and just dealing with it until I gave it enough altitude to get out of the situation. Kudos, DJI. The photos and videos you can make can be absolutely stunning. Interesting at worst. I don’t need to explain this point in depth, as it pretty much speaks for itself. Drone laws are surprisingly relaxed. In the USA, stay below 400 feet, don’t fly within 5 miles of an airport (unless you’ve contacted the tower for permission), don’t fly over the Super Bowl—it’s basically all common sense. Just don’t risk being one of those drone pilots who makes the evening news and screws up my and Terry White‘s fun! So, what about commercial use? Well my buddy J.R. (who can be seen here on Instagram) has photos plastered on his pickup advertising his successful photography business, and occupying a third of the back portion is a shot of his DJI Phantom 4. It’s there for good reason, and the reason is that the perspective offered by drones brings a whole new lease on life into real estate photography. (Lease. Get it? Real estate… catch up!) Not only that, but tennis clubs, golf clubs, marinas, country houses, aerial surveys—they are all potential earners for your photo/video business if you have a drone. So, in summary, if you’re thinking of getting a drone, you probably should! It’s a decision you won’t regret!